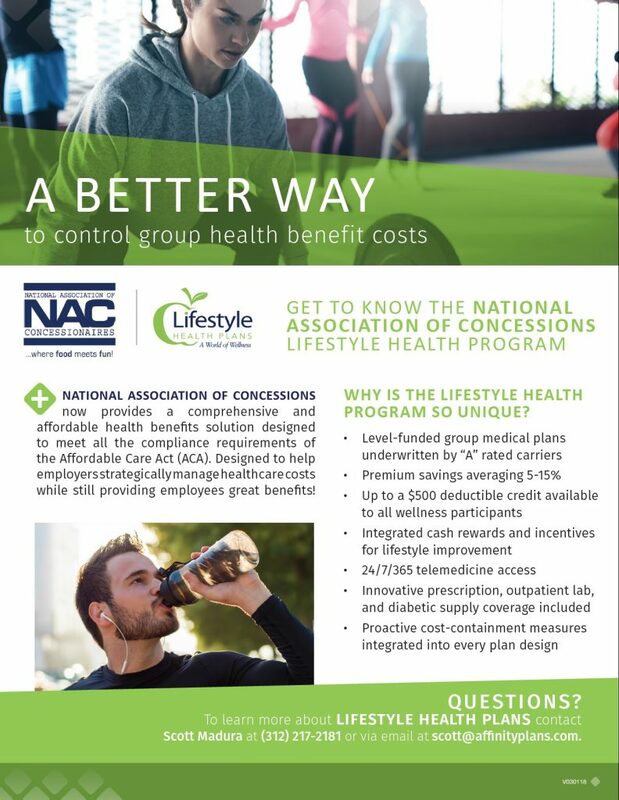 The National Association of Concessionaires (NAC) is pleased to partner with Lifestyle Health Plans to provide members with a unique health benefits program designed to address the underlying causes of the rise in healthcare costs for both employer and employee alike – employee health behaviors. Lifestyle Health Plans is an ACA-compliant, wellness-inspired group health benefit program that can save your company money while addressing the health and wellness of your employees. To learn more about how Lifestyle Health Plans can work for you and take advantage of NAC-negotiated pricing, feel free to contact Scott Madura directly at (312) 217-2181 or scott@affinityplans.com.